I'm back and ready to bring you my top picks for best ethical beauty products of 2018 once more -- and this time it is time for my favourite bath and body picks! Like I said in my previous roundups of the top green goodies of 2018, I've decided that every week in January I will share with you my choices for best in show. I started with makeup, moved on to home and hygiene, and now it is time to round up all the bath and body treats I couldn't stop reaching for in 2018. Like I've said before, this list don't include any BSL entries I tested (but don't worry, I will be writing about those nearer Awards Day!! ), nor do they include any products I began using in the final part of the year as I just didn't have enough time with them to fully assess their effectiveness. For now, I'll be focusing on the formulas I have tried, tested, and trust 100%. 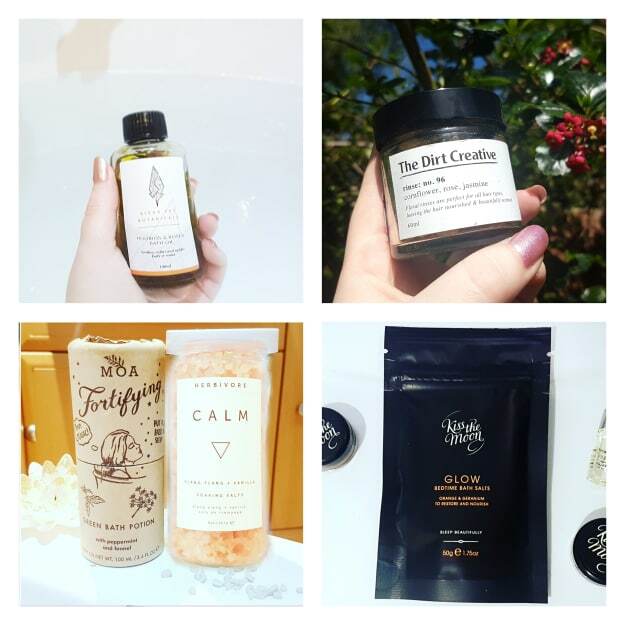 I have done a handful of reviews on bath goodies here on The ecoLogical, but not quite as many on body, hair, or feet/hand treatments. That is definitely something I will be trying to balance out this year, as I actually use tons of these types of products! From exfoliants and scrubs to oils, balms and gels, I am forever discovering new formulas that pamper my whole body. I tend to favour really rich and nourishing ingredients rather than anything lightweight (which is the total opposite to my approach for facial products which you'll see in my upcoming Top Facial Skincare Picks! ), and love anything with an exotic or complex scent. I also try to opt for vegan products, though you'll find a few items that contain a non vegan friendly ingredient like beeswax or honey (I've marked the two so you know!). For haircare, I avoid coconut oil like the plague as it makes my hair feel like straw and can lead to cystic acne on my scalp, but when it comes to skincare for the body I don't really have any sensitivities which is SO refreshing since I have to be so careful when choosing things for my face and head. I love to try out new blends and experiment a little more with body treatments, as this is where I can really let loose and not sweat the small stuff. That being said, I most definitely can be a little fussy still, and my selections for best ethical bath and body products are the ones that stand out for looking, feeling, and smelling incredibly luxurious (even if their price tag is a solid budget buy!). Alexa Sky Botanicals' bath oil is the ideal product for an experience driven by tranquility -- Rooibos and Roses is indulgent in both feel and scent, and the fragrant notes of neroli, frankincense, sandalwood, orange, and bergamot assist in calming the mind, prompting positivity, fostering creative thoughts, and restoring energies. Plus, amethyst brings even more benefits, including a sense of calm and feelings of contentment, peace, and awareness. Amethyst is also known for its ability to soothe itching, relive tension headaches, and relieve skin irritations, making it the perfect addition to the Rooibos & Roses bath oil. My favourite thing about this vegan friendly formulation? It doesn't sit on top of the water, but rather mixes with the running water to create a soak that is hydrating without being slick. For a more awakening and rejuvenating oil, I always recommend MOA's Fortifying Green Bath Potion, as the oil instantly eases tension both in the body and mind. The 'potion' is a mixture of peppermint, fennel, yarrow, sweet birch, fir needle, and chlorophyll, and I have to say this creation is unlike any other. It works almost like an icy-hot: the peppermint immediately cools the skin, creates an atmosphere of peace, and soothes sore and tired muscles. And like my other favourite bath oil, this blends with the water making it so your skin is moisturized without becoming slick or greasy. Overall, the MOA Fortifying Green Bath Potion gets five out of five stars from me, and this is why it grabs a spot as one of my two favourite bath oils of 2018. I initially bought Kathleen Natural's Tranquil Fields gel back in September, and was really impressed by both the scent and the amount of bubbles this produced. I have found that natural products often struggle to get the bubbles going, and provide a foam bath instead, but this does it no problem. The scent truly is tranquil, with fragrant lavender, rich vanilla, and sweetly earthy frankincense. Oddly enough, it reminds me of a spiced rum and coke on a chilly summer's night -- warming, a hint of sweet spice, and familiar. It is the perfect addition to a bath, but can also be used in the shower to wash off the day. Just remember to take a few deep breaths so your mind starts to slow down and prepare for a nice night in. I'm a huge fan of Kiss the Moon, so it's no surprise to me that their bath salts made it as one of my two top picks for this category, especially now that plastic free options are available. Blended with a restoring infusion of orange and geranium, the GLOW blend of Kiss the Moon's salts detox your skin, ease sore muscles, moisturize your body, and induce sleep, all while you relax in the comfort of your warm tub. I love the soothing floral qualities that help boost the effects of the natural magnesium within the salts. And the Dream blend is just as lovely as Glow, and even more soothing since they contain all the bedtime essentials -- lavender, chamomile, cedarwood, and more! The award winning blend of epsom salts and magnesium salts are meant to work in tandem with the soothing oils to ease muscles and relax the mind, and help get you ready for a full night's sleep. And in my opinion, they work 100%. If you have not tried a bath tea yet, I highly suggest you do so -- depending on the kind you get, they can offer a purifying, toning, or hydrating experience, plus they often use only pure, natural ingredients that are safe for even the most sensitive skin. The Dirt Creative offers "Rinse" blends that, despite being designated as a haircare product, you can turn into face/hair tonics, steams, or, as I often choose, bath tea. You simply take a bit of the dried petals, add them to a reusable pouch, and pop them in warm water to soak. I find Rinse no. 96 really calming as it smells intensely of flowers, plus it gives my skin and hair a bit of a hydration boost without any added work. And the best thing about this for me is that you can get many uses out of the pot -- it isn't just a one and done product! When it comes to luxury products (and expensive things in general), I am always hesitant to make the splurge as I always question if it truly will be worth the money. Well, I discovered last year that TJK's Clean Conditioner is one of those green goodies that indeed *is* worth spending that little bit (well, more than a little bit...) extra on. The smell is lovely, the formula is really moisturizing, and the results are smooth and soft hair without any oily residue. While I still usually opt for an oil treatment in shower, this quickly became my go to for days where I didn't have time for a tonic rinse or evenings where I would be going out and wanted extra fresh looking hair. The hair elixir from Evolve Organic totally converted me to hair oils, as I saw and felt a difference after just the first use. My hair is naturally curly underneath and a weird mix of wavy and straight on top, and the Nourishing Hair Elixir helped develop the curls into something more than just sad limp ringlets. 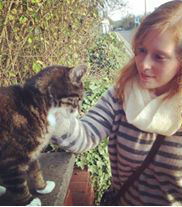 Plus, it became softer than it had been in years! It looked so healthy despite me not having had a hair cut in over a year, and was shiny and refreshed. And did I mention it smells wonderful?? Soon after finishing my first bottle of the Evolve oil, I discovered the Rose Hair Elixir from The Innate Life. Unlike the warming pseudo-vanilla scent of Evolve's oil, The Innate Life has a delicate floral aroma that saturates your hair and sticks around for hours. This oil is deeply nourishing, helps tame frizz, smooths curls, and is light enough so your hair doesn't end up looking like a grease pit. A little of this goes a long way, so even a mini bottle lasts for ages! I try to avoid sachet products as much as possible, but while I was in America my hair was in desperate need of a moisture treatment from all the pool chlorine and sunshine I was exposed to. I picked this up at Target thinking it would be a stop-gap until I could find something at one of the health food shops near(ish) to my parent's house. But this mask was so good that I didn't end up needing anything else! The floral scent is stronger than I would usually pick, but fades into a delicate rose aroma once rinsed, and I love that you can choose either a flash mask (5 minutes) or a deep treatment (~30 minutes). Whichever option I went for, I found my hair feeling like silk and looking more radiant and healthy with a lovely shine to it. The packet lasted me six full sessions, making this the most cost efficient beauty product I used all year I think! To be honest, I don't style my hair often anymore. I have embraced the chaos of my hair, and just try to just coax out the natural waves instead of trying to flat iron it daily. But occasionally I like to tame it a bit, or have more of a beachy look, and that's when I turn to a salt spray. John Master's is great, as it comes in a huge bottle (266 ml), is pretty affordable, and has no filler ingredients. The simple formula contains water, sea salt (which adds texture and volume), and organic lavender oil (that protects the hair shaft), and I find it doesn't make my hair feel crunchy like some other salt sprays. Plus, it doubles as a hair perfume! For that, this wins best hair styling treatment of 2018 for me. You can just tell how stunning Guiltless Skin's product feels by looking at the texture -- it is indulgent, rich, gentle, and oh so nourishing. 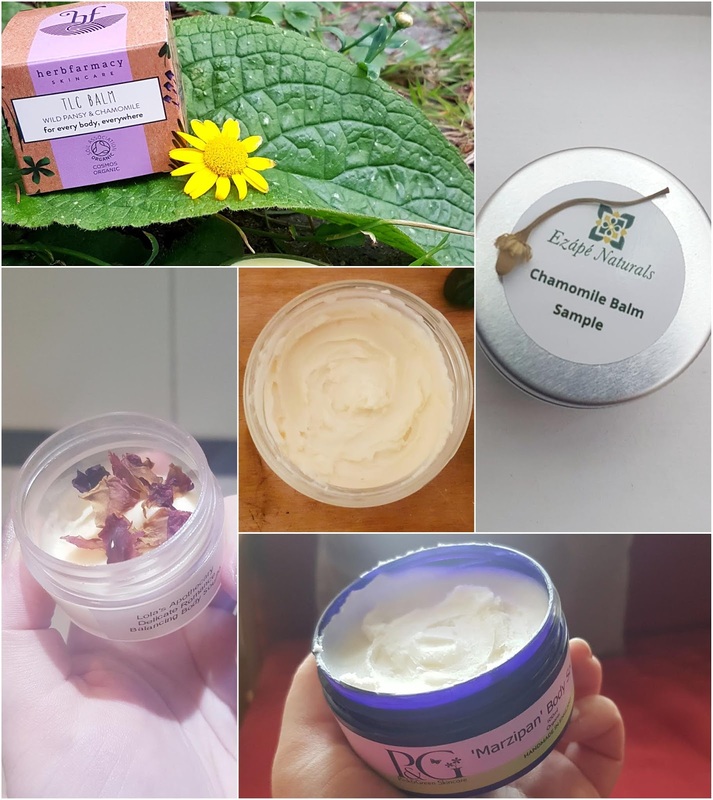 I love how the simple ingredients work to keep your skin feeling soft and smooth all day, and how consistent use can even help reduce the appearance of stretch marks and scars. My favourite thing about this vegan friendly formula?? The scent! The combination of shea and rosehip creates a grounded, homely feel with a chocolatey aroma that makes you just want to breathe it in and enjoy the moment. For such an affordable and generous size, I was super impressed by the quality, and for that reason I have to give this my top pick for body butter. Grab £5 off your first order with Guiltless Skin by using my link! While both are skin souffles, each product offers something very different in terms of experience and so I feel I have to include both! The gentle Marzipan formula from Pink & Green is compact, with a semi-sweet fragrance that perfectly captures the honeyed almond aroma of the dessert it is emulating. While the initial consistency is more like a traditional butter, it is really smooth and melts down almost instantly with the warmth of your fingers. It's truly a lovely and comforting product, and I love how soft my skin is when I use it. On the other hand, Lola's Apothecary Delicate Romance Balancing Body Souffle is incredibly lightweight and airy, so much so that you would think it couldn't give much of a moisture boost -- but it does! It leaves skin feeling soft as silk without any heavy residue, and provides a calming treatment thanks to the soft fragrance of roses, citrus, and soothing vanilla, sandalwood, and patchouli. Both of these look, feel, and smell so different, but both are utterly divine in their own right -- which is why they are BOTH my top picks for 2018! 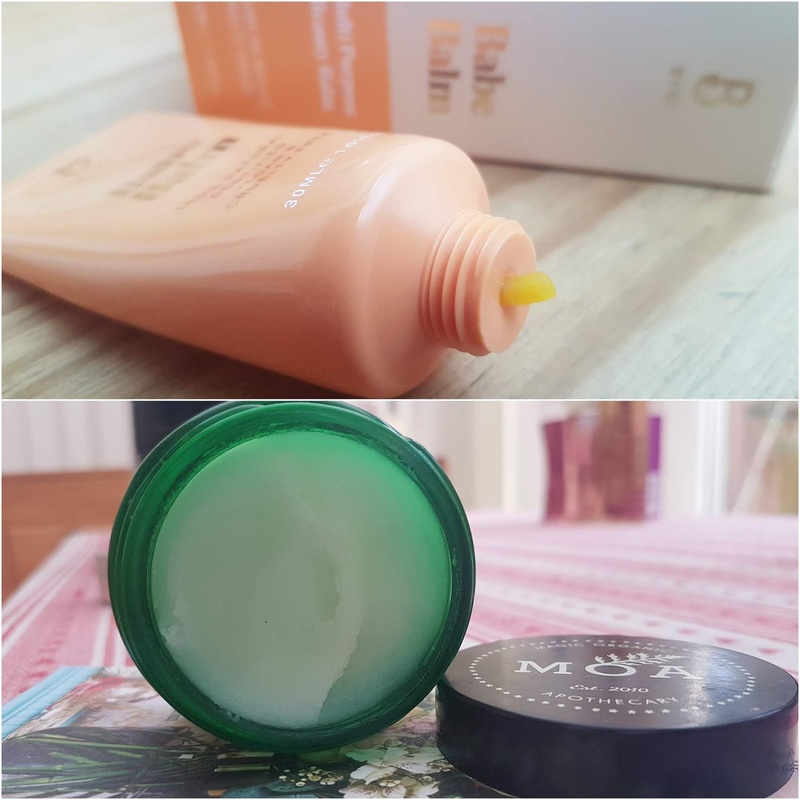 Both my best balms I have picked are perfect for sensitive skin, and it is just a matter of preference when you like to apply / what scents you like! If you are looking for a calming treatment that softens skin and soothes irritation, Ezape's Chamomile Balm is the best I tried in 2018. Not only is it 100% natural and 55.5% organic, but it smells soo dreamy! I like to apply this to my legs, hands, and feet in the evenings, as it helps ease my mind before bed and adds moisture to heal my skin while I sleep. It's not a sticky or overly oily balm, and sinks in pretty much immediately, so no waiting for it to absorb before hopping into bed. 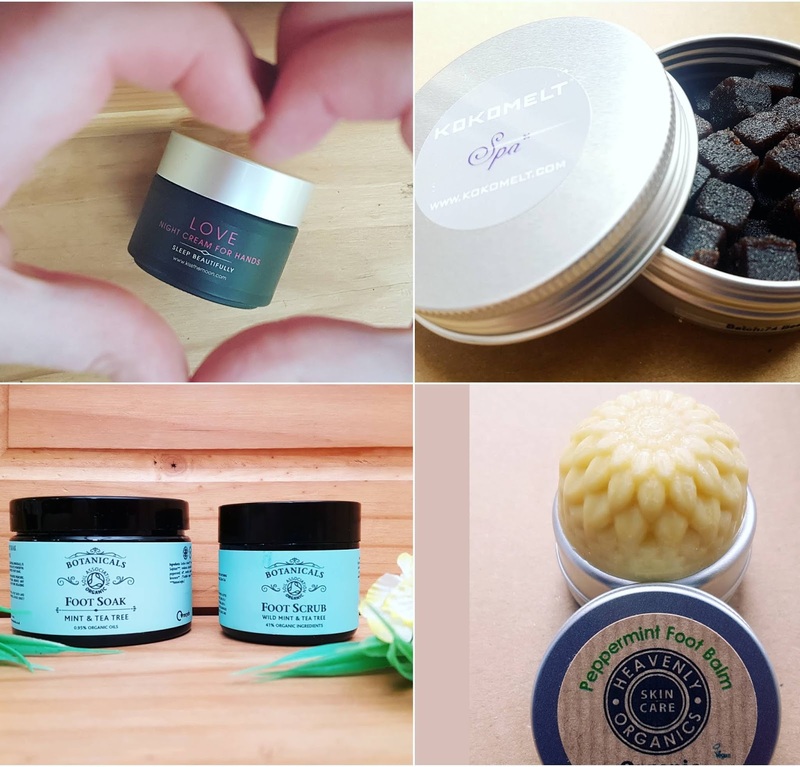 If you are looking for a balm that is both healing and calming, and has more of a "daytime" aroma, then Herbfarmacy's TLC Balm is a great choice -- so smooth, ultra-calming, and super nourishing. The TLC Balm is more uplifting in terms of scent, though still very relaxing, and is also slightly sweet, so I prefer this product earlier in the day. I don't usually like body lotions, as I find them a bit wet and don't give me the deep nourishment I want, but Apple & Bears offers a body silk that feels so luxurious that I had to rethink my general dislike for lotions. Three of the four scents are vegan (Honey & Hemp is not), and all use clean ingredients. The formula isn't thin like other body lotions I have tried, and it immediately sooths my calves when I apply. Even if I have not shaved my legs for several days my skin feels smoother when using Apple & Bears. The scents are all mouthwateringly delicious, especially Pomegranate + Aloe Vera, and linger for a long time, plus they make you look forward to summer when you wear less layers and can enjoy the body silk to the fullest. I recently posted an introduction to Inner Senses here on The ecoLogical, but this isn't a new skincare love whatsoever. This is a natural, cruelty free, and vegan friendly brand full of passion, skill, and dedication, and ever since I first tried one of their body oils (Active) I have been hooked. 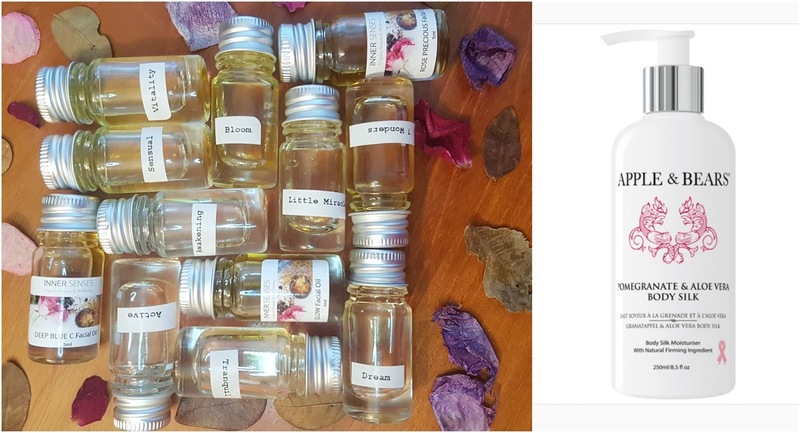 Inner Senses currently offers eight body oils, ten when you include their multi-purpose formulas, and each provides targeted properties that work to address both your beauty AND your wellbeing. And the best thing about them?? You can choose how to use them based on your needs. Whether it is a massage, a full body moisture treatment, a deep inhale to center your mind, or a splash in the bath, you will find that Inner Senses' oils sort everything. You can find a breakdown of each oil here, but if you just want to know my current favourite, that has to be Golden Sunset at the moment. And remember, since I am now a Brand Ambassador, you can get a free trial size product with any full size order by using my Brand Ambassador code, BRYANNA -- no minimum spend required, and samples range from £3.25 to £10 across the face and body range so this is a great way to trial a blend you are not 100% sure about yet. Or, of course you can pick up the oil you need from Love Lula if you're looking to do a one stop shop for all your staples. Okay, so as an incredibly pale person I do pick up a self-tanner every now and again if I know I will be showing my pasty self at the beach or something. However, I don't use them often enough to know exactly what all is on the market -- this is one option I would love to hear more about from you eco-beauties! 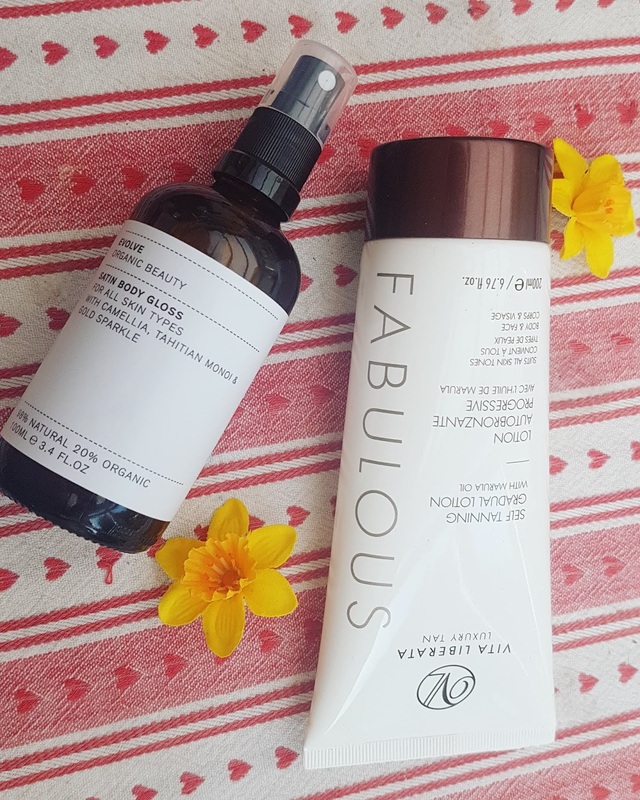 What are your favourite natural and organic self tanners?? Last year I had good luck with Vita Liberata's Gradual Lotion, as it gives a nice even natural look that isn't orange or streaky at all. Plus, as the world's first completely nontoxic tanning brand, you don't have to worry about nasties like parabens, strong alcohols, sulphates, synthetic fragrance, or other harsh ingredients. Instead, you have plant powered and organic goodness giving you that subtle glow. I opt for a shimmer if I don't have the time (or patience) for a self tanner, or if I just want more of a bronzed look during sunny weather. The best I have come across in the natural beauty world has to be Evolve's Satin Body Gloss, as it offers moisture, a subtle fragrance, and a gorgeous glow all without including any toxic ingredients! The gloss itself is a nice lightweight oil, and it doesn't leave you feeling sticky or greasy as it absorbs so well, and the shimmer is not overwhelming (as long as you shake the bottle before applying!) - rather, it gives a great healthy radiance to your skin. If you are looking to swap your Fenty or Nuxe for a cruelty free, vegan, and natural shimmer, then Evolve is the best product you can try! 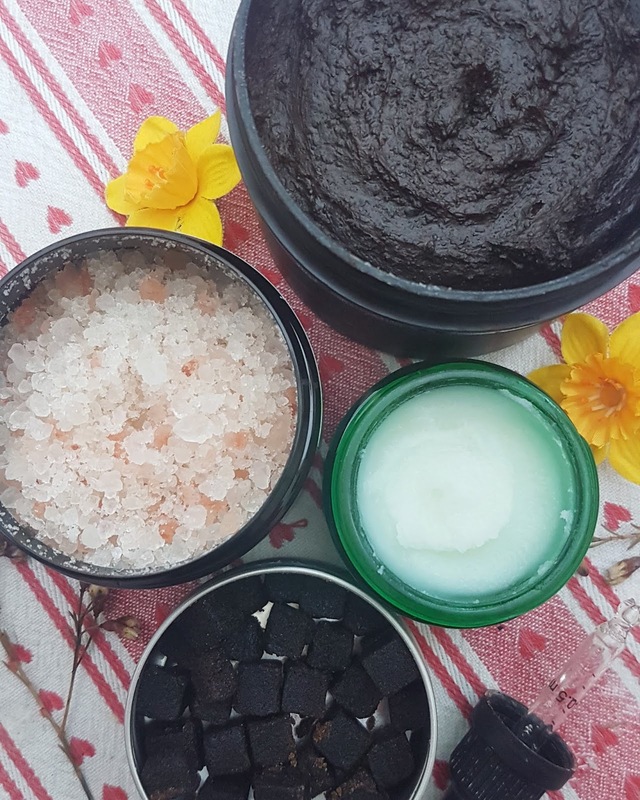 I received The Gorgeous Soldier from Skin Alchemists in an edit from The Natural Beauty Box, and while I was unsure about the salt scrub at first, it quickly grew to be one of my favourite exfoliating products of the year. The formula looks entirely smooth in the jar, and unlike any salt-based exfoliant I have used before, probably due to the high coconut and cacao seed butter content. However, once you scoop some out and start to use it, it gives a gentle but effective buffing. Plus, it smells INCREDIBLE - like rich chocolate. This luxury scrub is so nourishing and I often found myself not needing a balm or oil afterwards, making this not only my top pick for best salt based body scrub of 2018, but also a wonderful all-in-one treatment! If you want something a bit more coarse, then The Salt Parlour or Magical Tree's Body Scrub would my pick -- The Salt Parlour has six varieties to choose from, and I have been impressed by each and every one. My favourite in terms of scent are Calm and Energize, and I have bought several tins since discovering the range! And I got to review a mini pot of the Magical Tree scrub when it first launched, and I've just bought another full size to try out as I enjoyed it so much! Both brands are lovely, scrubby, and offer targeted formulas! 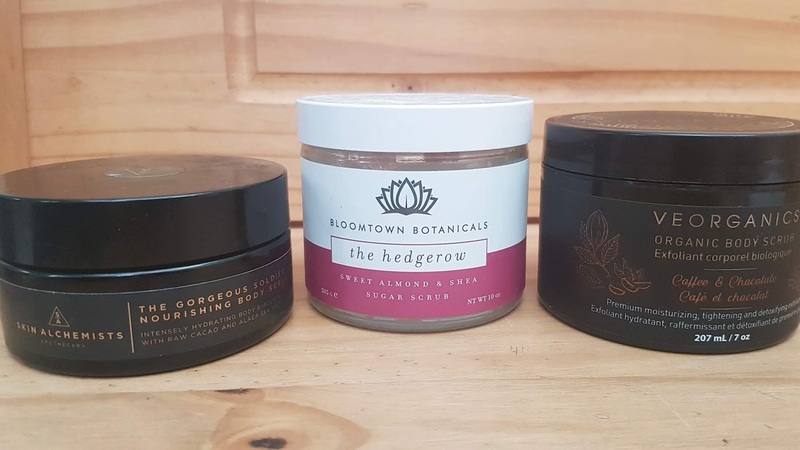 I tend to opt for salt scrubs most often, but the sugar scrub from Bloomtown had me rethinking that decision as their product was just so lovely. There are six varieties available, ranging from unscented to citrus fruits and woody aromas. The one we worked through was The Hedgerow, a blend of blackberry and honeysuckle that filled the room with juicy, sweet fragrance that brings summer to mind. Bloomtown's scrubs are a great all-in-one product, as they can cleanse, exfoliate, and moisturize the skin in the same session. I love how affordable the range is, and how they donate 10% of profits to environmental and social causes -- this is a product you can spend your money on and leave with both your skin and your conscience feeling great. I won this Canadian beauty in a giveaway last year, and could not believe my luck when it arrived - not only does it smell *incredible* but it is actually a really innovative formula for an exfoliant. It is not your average coffee scrub, that is for sure. A fusion of cacao extract and butter, coffee seed extract and powder, and shea, the texture is like a thick paste that is rich, nourishing, and scrubby without being harsh. My skin always feels so smooth afterwards, and has a lovely glow to it. Plus, with regular use VeOrganics scrub is meant to stimulate blood flow and help reduce the appearance of cellulite, stretch marks and varicose veins. I need to use it for longer to see if this actually plays out, but for now I am really pleased with how it buffs away dead cells and leaves my body rejuvenated. This does contain my nemesis phenoxyethonal, but it did not irritate my skin at all so I forgive it for now. I just can't resist the scent! I really like this particular scrub from Botanicals because it is not overly harsh or abrasive. While your feet can have more rough and tough patches, you still want to be sure that you are treating your skin with care and aren't causing any micro-tears. This organic and vegan friendly foot scrub contains nourishing shea butter which helps the product slowly melt into an easy to use paste and helps ensure that your feet are not irritated by the fine exfoliation. The scent is very clarifying and uplifting thanks to the lemongrass and tea tree, both of which help to provide antibacterial properties. Overall, this scrub was the easiest and most effective foot treatment I used in 2018, so for that reason it has to be my number one pick for foot scrub. While a salt foot bath is great to use on sore or tired muscles, it is also a great way to draw out toxins, eliminate odor, help heal ingrown nails, fight fungus, and soothe dry or rough skin. My favourite soak from 2018 that I tried is once again from Botanicals's range. Along with being a great price, the Therapeutic Foot Soak blend combines the powers of mineral rich Himalayan and Dead Sea salts with peppermint, spearmint, and tea tree so your skin is left soft and revitalized in no time at all. I find the foot soak really helps after long walks or if I want to prep my feet for sandal weather -- and I can rest easy knowing the formula uses organic essential oils! The detail on this balm is unlike anything I have seen before. It is hard to stand out in the beauty world with so many similar products on the market, but the care that has been put into just this one little pot really shows and makes this stand out. 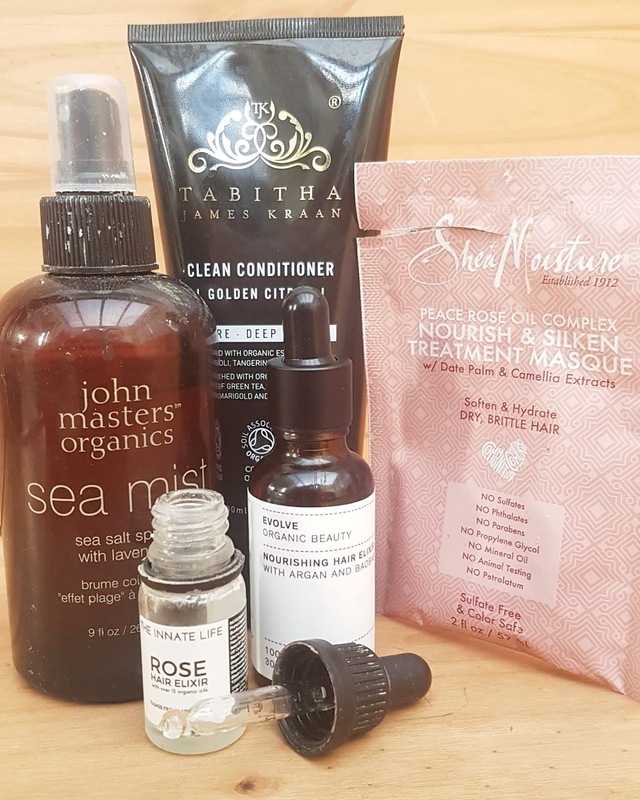 When I first got this in an edit from The Natural Beauty Box, I couldn't help but love everything about it, from the fragrant peppermint (which is ideal for soothing tired feet!) to the simplicity of the packaging. One more fabulous thing about this item is that you can buy refills which are sent in a compostable bag so there is zero waste. And for that, this wins best ethical foot balm of 2018! A good hand cream can help restore the skin and keep our hands looking smooth, healthy, and ageless, but did you know you could also use this type of product to induce sleep and a sense of ease? Well, Kiss the Moon developed another award winning product to fuse the benefits of skincare and sleep once again with their Love Night Cream for Hands, and the quality, scent, and feel have led me to choose this hand treatment as my top ethical pick of 2018. This luxurious formula has a whipped texture and contains nourishing shea, hydrating rose water, and repairing rosehip seed along with relaxing frankincense, rose absolute, and ylang ylang. The cream is rich without being heavy, and leaves your skin feeling super soft. This is the perfect pre-bed treat, and has become of my nightly ritual that leads me to sweet dreams. Rather than a traditional scrub which you scoop out and use, Kokomelt has crafted individual portions so you can simply pick one up and use it without any faffing or mess. Each cube smells lovely, with relaxing lavender washing over you every time you open the pot, and they look almost like demerara sugar. These melt really quickly and easily into your hands, and work perfectly as a gentle exfoliation and moisture boost all in one. There is no product left in the sink basin afterwards as it all just rinses right down the drain, and my hands always feel really nourished and smell amazing even twenty minutes after use! KokoMelt wins this category for both innovation and effectiveness (and for creating such a dreamy smell!). Unlike most beauty balms, The Green Balm isn't advertised just as a cleansing alternative or a 'cream' for eczema and dry skin. 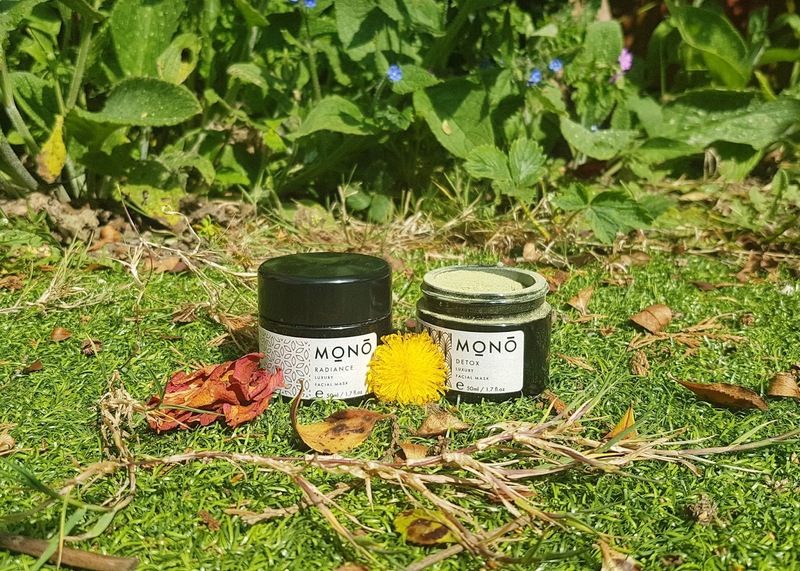 According to MOA, the balm can be used in nearly twenty different ways, including healing cuts and scrapes, fixing chapped lips, sorting out cold sores, soothing sore throats, fading scars or stretch marks, and calming burns. There isn't much smell to the product, but to honest, I think I prefer multi-use items like this to be fragrance free or have very faint scents. And when it comes to effectiveness, I have to say this is my pick for removing eye makeup, nicks and scrapes, and wind protection - it is seriously a force to be reckoned with! If you are looking for more of a dry skin treatment or slicker texture, then the Babe Balm from BYBI is the perfect pick. Origins of Beauty kindly gifted this to me to test out for my Christmas gift guide, and while the product did get a brief mention in my Best Natural Beauty Brands to Gift This Year post, it actually ties for best ethical multi-tasking balm of 2018 overall for me as well! BYBI's formulation has a uniquely sweet tropical scent, and it is the perfect fusion between a very thick gel style balm and a smooth gloss. It glides across skin, melts in easily, and works to heal chapped and cracked skin pretty much overnight. I use this balm mainly for lips, a moisturizing highlight, and cuticles, but the uses are pretty endless. And another bonus? The tube is made of compostable sugarcane! And that's that! My choices for best ethical bath and body treatments in 2018! These are all the cruelty free, natural, organic, and vegan beauty products I think deserve recognition as the best for the bath and body category, and are the ones I keep coming back to or have permanently on my repurchase list because they are just that good. Fab fragrances, gentle formulas, high quality, wonderful ingredients, and from brands I trust and respect. It was near impossible to pick just one or two products as the 'best' as I did try out so many amazing goodies, but I did my best to limit it down! I'm really curious to see how my list updates for 2019, and I will definitely be looking back on this post next year to see what green goodies stay ranked at the top and what slides out from my 'favourite' list. Do you have any products you think should have made my list? I would love to know, as there is a chance I didn't even try them! Or maybe I did, and they are some of my runners up for best products -- because trust me, this list doesn't even come close to representing *all* the amazing beauty treats I tested last year. 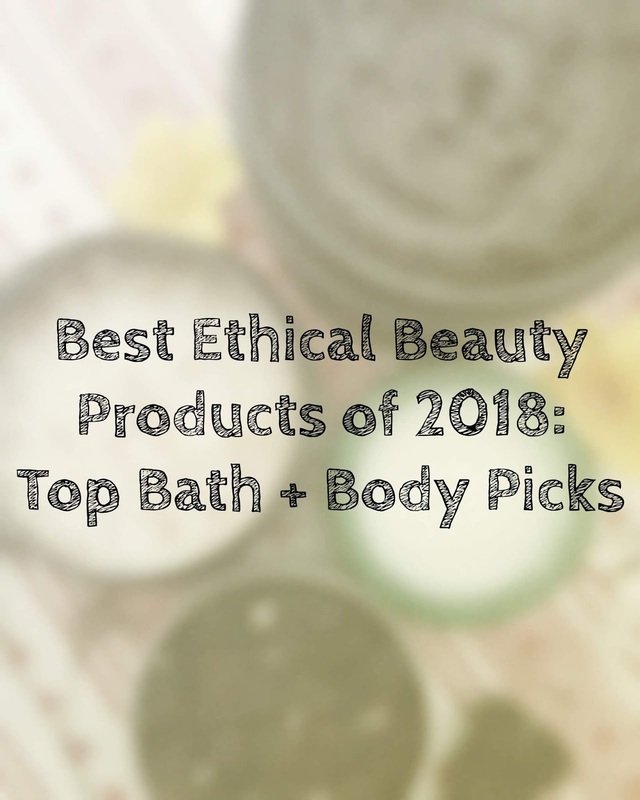 I would really enjoy hearing what your top bath and body products of 2018 were, and who knows, maybe they will make my next Top Ethical Bath + Body Picks roundup! These all sound like some amazing products. I have to admit I've not used a lot of the brands, definitely something I need to think about changing but I do love MOA. Oh this is such a fab list of beauty products! I never know what to go for these days and try hard to be ethical This was so helpful! I love that there are more and more ethical products around nowadays. I've been making a conscious decision to use cruelty free products where I can this year. All of the products on your list are new to me but there are a few I would love to try myself.